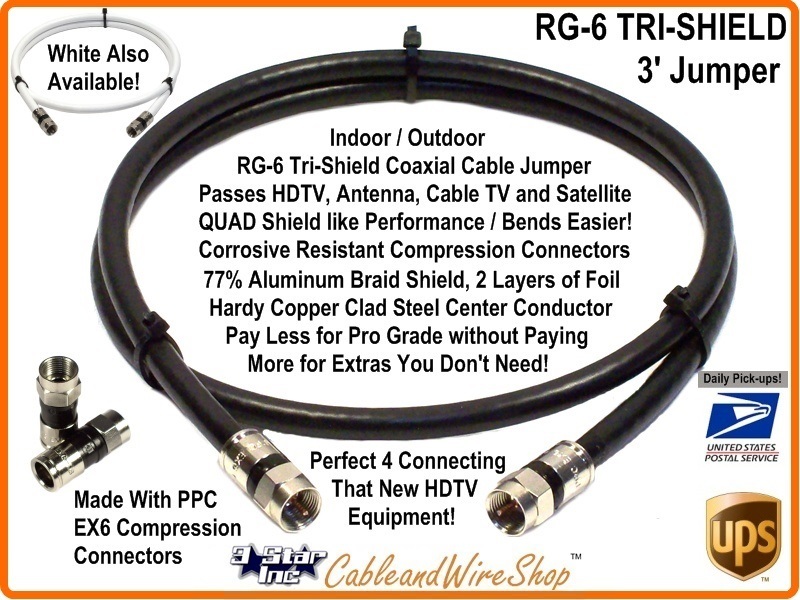 Tri-Shield - Based on a Standard cable construction of fully bonded foil with a layer of shielding braid, Tri-Shield adds an additional surrounding layer of foil to improve transmission reliability by means of an additional interference barrier. The industry standard workhorse, it provides ample conductance for most drop applications up to 150 feet in length. This cable Features like Quad Shield Performance in a more pliable form for Ease in Installation and Maintenance.